Club Penguin Cheats by Mimo777 Club Penguin Cheats by Mimo777: Final Mimo Club Penguin Winter Party Clue! That's it! Do you have all the clues? Do you need a hint? Which clue do you need help with? I will tell you most of you are wrong one one of the clues. CAN'T WAIT! SEE YOU THERE! Still giving away lots and lots of coins! I don't get it! xD I've gotten one or two of the others but I'm still fuzzy. Hopefully I can make it there :D Hint please? How many eggs..are in a normal egg carton? This is the best hint I can give you: It's the time. A what a what I don't get this is time right? I NOES IT! im not letting you all know the place but i dont know the date. thats what gets me puzzled! maybe if i count the eggs ill get the answer i ont know yet! Got it! I'm so EGGcited. A dozen, how do you know they're eggs. My old neighbor dipped chickens in dye and made different color chickens. I saw a purple one, a green one, and a blue one. Ill give you all 2 hints. If you know how many eggs are in a dozen youre good. and also this is the date. :3 clever clues, Mimo. I got it all. mimo plz give as another hint itz to confuzzzzing :( i get the other cluez but this one is tooooo hard! p.s if i get this clue this will be the first mimo party i come to!!! ok but i think i dont want to be a retard! Aw man I never get any of your party clues EVER!!!! I love swimming! But i hate to swim at the beaches!!! My birthday is at the 27th may! I'm not perfect, but I'm so darn close it scares me. Yes the first clue is the Server clue. This is the time, right? If so, is it CP time? Congratulations!! Maybe you should just, I don't know, play Card-Jitsu Fire some more until someone emails CP to make water and snow...P.S. I stink at the game wish me luck, lol. i have the rest i just can't figure out this one! Thanks for the help! Appriciate it! But wait...I thought Mimo said that the big number in #2 was wrong? Maybe just my imagination...But thanks again! Ok, just count all the eggs in the carton...*Easier hint* How many eggs are in a dozen? P.S. This is the date, I'm pretty sure! Hope this helps!! You can find out what the FULL AMULET is gonna look like. Go to Card Jitsu Fire. If you click on Sensei's Amulet, keep clicking until you get the full amulet. It will have, Fire (red), Water (blue), and Snow (white). Ill give you all two hints. If you know how many eggs there are in a dozen,you are good. and also this is the date. Well sorry Thorintheclouds,but it isnt the date. We already got the date earlier but it does have something to do with the dozen eggs!Hope I helped ya! This is mega hard ! You are good at making clues Mimo. I've got all of them but this 1 ! But Mimo will make the time American so boo hoo to me! :( Not fair living in England when things like this happens I have all the clues and everything and I probobably can't go cause of the time differences!!!!! im guessing that the clue most people are wrong about is the one with the bold letters that spell 'pool'. MIMO! Please give me help on the third clue. you said its not in bold so please help me . Or any one else. HELP! If its not in bold its not the pool. Anyways, HELP! I don't get the first one! Unless Te Time is 12:00 than i give up. I know all of the other clues but th time has got me! Mimo, can I please be a CPG MOD? I've been answering many questions and I think I've helped many penguins like you do everyday. I am a big fan of yours and I really wanna help others like you do! So please, can I be a CPG MOD? Yeah, I wanna be a Mod, too. He only does an update every once in a while, but just keep trying and don't give up! I know you have helped out others, so for your effort, I am recommending you as a Mod! Great work, and hopefully Mimo reads this post! whatare the eggs for? TELL ME!!! ok, im almost POSITIVE that i kno every party clue, thanx to you guys for the egg hint; i never would have gotten it :D my question is, how can i contact mimo to make sure that its right??? ny1 kno? ps, im a blonde, too! here is a BIG hint for the time...EVERY TIME MIMO HAS THESE FIGURE OUT THE CLUE PARTYS,THE TIME IS ALWAYS CLUB PENGUIN TIME!!! not where you live time. DONT GIVE UP! try,try again. read mimos tweets that(on the left side of mimos site,scroll down)most of the time he gives you a hint or two. i have faith in you and many others who dont have a clue what the clues are. it could be! we dont konw for sure. my advice on figuring out mimos clues is: think of all the posablitys on what the clue might be. wether its the room,time,place, or server.think of more than one thing and try it. Nah, you're not dumb, everyone finds them hard including myself. They are confusing! They are soo confusing! I think i need a hint too! That's what u have to figure out. Hope I helped. The Eggs relate to a clue to Mimo's party. Be sure to think well and hard about it! Wow, you sound like you really want to make it to Mimo's party. (I do too- I've never been to one of his Eulc parties and I've used this site for a year.) The eggs indicate the time... ;) Good luck! Ohh... I get it. I'm guessing this is the time. Hint: how many eggs are there? They're for the hints to Mimo's party. You have to look at it then think of all the possibility's then one will make the most sense out of them all and you found your answer, I already got it. See ya there...maybe. You can't, it wouldn't be fair for him to tell you you're wrong or you're right. But trust your first thoughts which are usually the correct ones and just go for it. Yeah. and Yeah. It's always gonna be cp time. Which is Pacific Standard Time I believe. Which is my time zone. Just to let ya all know. Mimo said it was NOT the server Frozen for the 1st clue or whatever the clue number was that most of you say it's Frozen. My proof? Twitter. Mimo tweeted that. Add on if you know he tweeted that. the clues are december (12= december), 27th, on the server freeze, at the pool. I got it! Heres a hint... it HAS to be the time. I think I am EGGsactly on it. Please post Mimo... I'm your biggest fan. Sorry, but why would Mimo post the whole entire clue givaway, it takes away the point of clues. And I know I've said before that Mimo may post correct answers but that was only to ONE hint. And if it is December, what day would it be on. And Mimo said it wasn't the bold but right next to it. 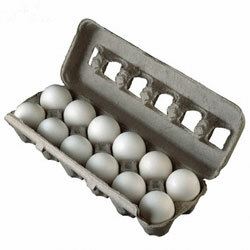 There are 10 eggs in a normal egg carton! THIS IS NOT NOT NOT THE DATE!THIS IS THE TIME!!! I believe i know it and the others the first is the server, the second the day, the third is room, and the last is the time. sorry mimo if this is too much info for them. There is 12(a dozen) in a normal carton. Maybe or maybe not ill give u a clue it is the time. It is a hard one i must admit and same it will be my first time.Keep trying i can tell u it is the time. I totally agree with him being the best cheat maker.